Spoiler alert! Here’s a recap of the fifth episode of the 19th series of the second stringer British motoring show – Fifth Gear. 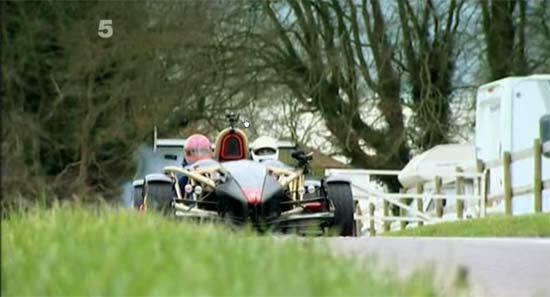 In this episode, Fifth Gear (care of Tiff and Jonny) will be competing in a hill climb race with Ariel Atom V8. Other cars in review are the Audi A7 Sportback, Lotus Evora S, the Porsche 911, and Ferrari World Abu Dhabi. This segment goes with classic British tradition of hill climb racing (a timed run uphill). Tiff and Jonny race using the new face-melting Ariel Atom V8. Nothing like seeing a “newbie” like Jonny racing with a savage car like the Atom V8. The projected good time’s 36 seconds. Jonny’s run’s a 33.89. Not bad for a pasty lanky bloke. As for Tiff, he clocks 32.56, beating the class record. Not bad for the old man. Segment pools the presenters to check out a car with various takes. Vicki takes the cars to the Assen TT circuit to test the cars head-to-head. The Porsche clocks 2:07.9 for a flying lap while the Evora does it in 2:07.5. So around the track, the Evora S takes the victory. To close out the show, Jason and Tiff visits the Ferrari World theme park. Seems like it’s a real mecca for Ferrari fans. Visitors can ride simulators used to train F1 drivers, tour a miniature Italy in miniature Ferraris, check out rare Ferraris, and ride the world’s fastest roller coaster.